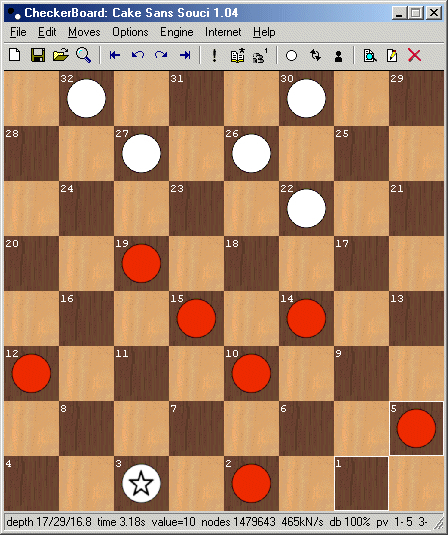 CheckerBoard 1.651 - Download Win Apps. Play checkers against your computer, save, load, analyze or publish games. CB lets you play checkers against your computer against different opponents. The built-in AI engine plays checkers at superhuman strength. You can save, load, analyze and publish games. Further goodies are a database of grandmaster games and a checkers tutorial by English grandmaster Richard Pask. The database is searchable by player name or by position. Engines for other checkers variants (Italian, Spanish) are also available.